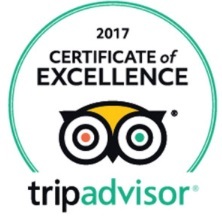 Lazydays, The RV Authority and world’s largest RV dealership, is pleased to announce that the Lazydays RV Resort has earned its third consecutive TripAdvisor® Certificate of Excellence. The achievement spotlights companies that provide a superior customer experience, based on TripAdvisor reviews. Each year, TripAdvisor analyzes the quality, quantity and recency of reviews submitted by travelers over a 12-month period. Businesses that maintain an overall rating of at least four out of five—or “very good” to “excellent”—are eligible to receive a Certificate of Excellence. TripAdvisor reviewers have praised the Lazydays RV Resort as an “amazing place to stay,” “our favorite campground in Tampa” and “the ultimate all-inclusive RV resort.” Guests cite the “awesome staff,” “terrific amenities” and “great value” among the reasons for their high ratings. Located just outside Tampa, the Lazydays RV Resort is adjacent to the world’s largest RV dealership, where guests can explore more than 1,400 new and pre-owned RVs from America’s most popular brands. Together, the resort and dealership span 126 tree-covered acres off Interstate 4, just one exit from Interstate 75. This convenient Central Florida location puts guests within an easy drive of world-class theme parks, award-winning golf courses and top-rated beaches, as well as cultural and historical attractions, nature preserves, state parks and other year-round visitor draws. The RV Resort encompasses 300 paved sites ranging from 38 feet to 45 feet in length; each has full 50-amp hookups and access to complimentary amenities such as free WiFi, cable television, premium coffee and morning newspaper delivery. Recreational facilities include a screened, heated pool and hot tub, two dog parks, a children’s playground and a sports area that features tennis and basketball courts, badminton, horseshoes, ladderball, pickleball and beanbag toss. The resort also boasts a fitness center, business center and large laundry room. Guests can ride the free trolley around campus, or rent bicycles or golf carts to get around. Onsite dining options include the Front Porch café, serving breakfast and lunch, and Exit 10—an RV-themed restaurant/pub that also offers poolside service and take-away. In addition to 24-hour onsite security, the resort has a full-time concierge ready to assist with travel plans and discounted tickets for local attractions. To learn more about the Lazydays RV Resort and dealership, visit https://www.lazydays.com. Stay up-to-date on RV news, events and sales by following us on Facebook, Twitter and Instagram. Lazydays®, founded in 1976, operates the world’s largest RV dealership, based on 126 acres outside Tampa, FL. Lazydays also has dealerships located in Tucson, AZ and Loveland, Denver and Longmont, CO.
TripAdvisor, the world’s largest travel site*, enables travelers to unleash the full potential of every trip. With more than 500 million reviews and opinions covering the world’s largest selection of travel listings worldwide—over 7 million accommodations, airlines, attractions and restaurants—TripAdvisor provides travelers with the wisdom of the crowds to help them decide where to stay, how to fly, what to do and where to eat. TripAdvisor-branded sites are available in 49 markets, and are home to the world’s largest travel community of 390 million average unique monthly visitors,** all looking to get the most out of every trip.